Last year our Senate and House Education Committees decided against adopting the Next Generation Science Standards. But like all bad ideas, they’re back again this year with new life. Thursday, February 1 and Friday, February 2 the House Education Committee will hear from the State Department of Education regarding these national science standards. A great deal has already been written about them, so rather than reinventing the wheel I’m going to provide links to several resources regarding how poor these standards are and some of the weird tricks the SBOE seems to be pulling to get these passed. The first is NGSS Talking Points, a list of what is wrong with the new standards by Jennifer Helms, PhD, RN from Arkansans for Education Freedom. Christel Swasey has a couple of Recent posts on her education blog about why Utah shouldn’t adopt these standards. 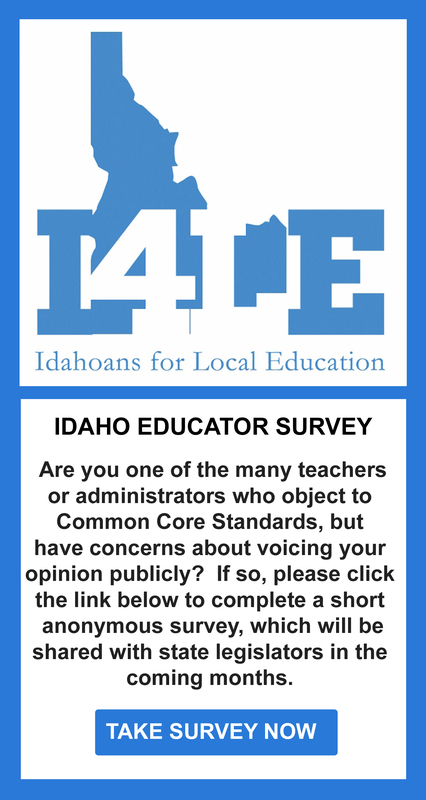 Because they are the same standards Idaho is looking at her reasons are worth looking at. Here are ten reasons to flee from the Next Generation Science Standards. Please go read the whole article. It’s worth your time. This post is over two-years old, but the information in it is still relevant. These videos explain that we are not just adopting standards, but the content to teach those standards. This is not standard operating procedure when standards are adopted. There’s a great deal of information here, and none of it has anything positive to say about the Next Generation Science Standards. Please take a few minutes to contact the members of the House Education Committee. Tell them to vote NO. We don’t want to replace what we have with something that is less than the best.